Ex 10.1, 4 In Fig 10.6 (a square), identify the following vectors. (i) coinitial Two or more vectors are said to be cointial if they start from the same point. Here, 𝑎﷯ and 𝑑﷯ start from the same point P. So, 𝒂﷯ and 𝒅﷯ are cointial. 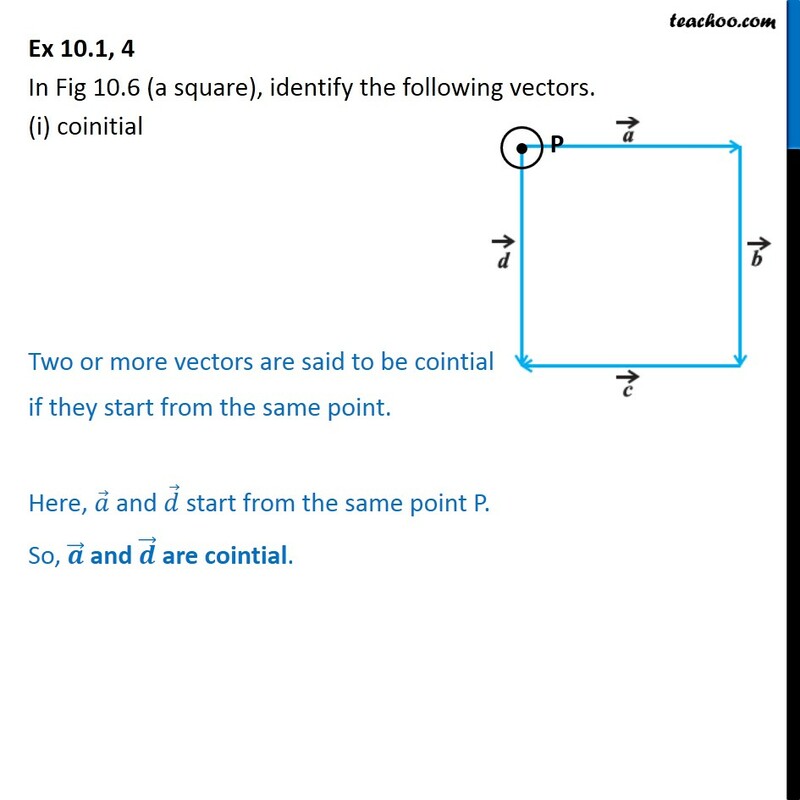 Ex 10.1, 4 In Fig 10.6 (a square), identify the following vectors. (ii) Equal Two or more vectors are said to be equal if they have the •	same magnitude •	same direction. Since the given figure is a square, magnitudes of 𝑎﷯ , 𝑏﷯ , 𝑐﷯ and 𝑑﷯ are equal. And direction of 𝑏﷯ is same as direction of 𝑑﷯ Thus, 𝒃﷯ and 𝒅﷯ are equal. 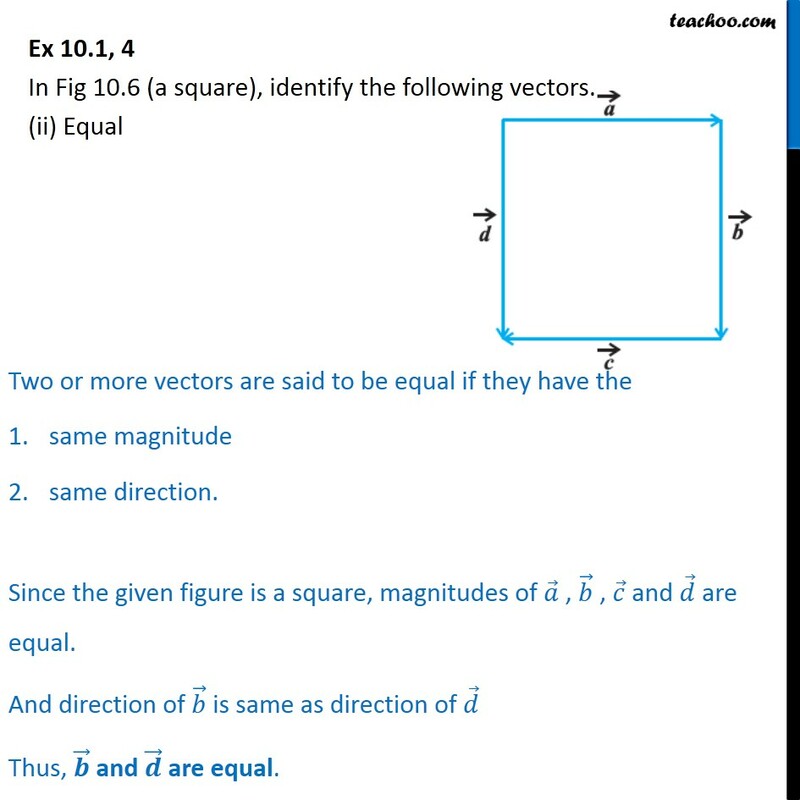 Ex 10.1, 4 In Fig (a square), identify the following vectors. 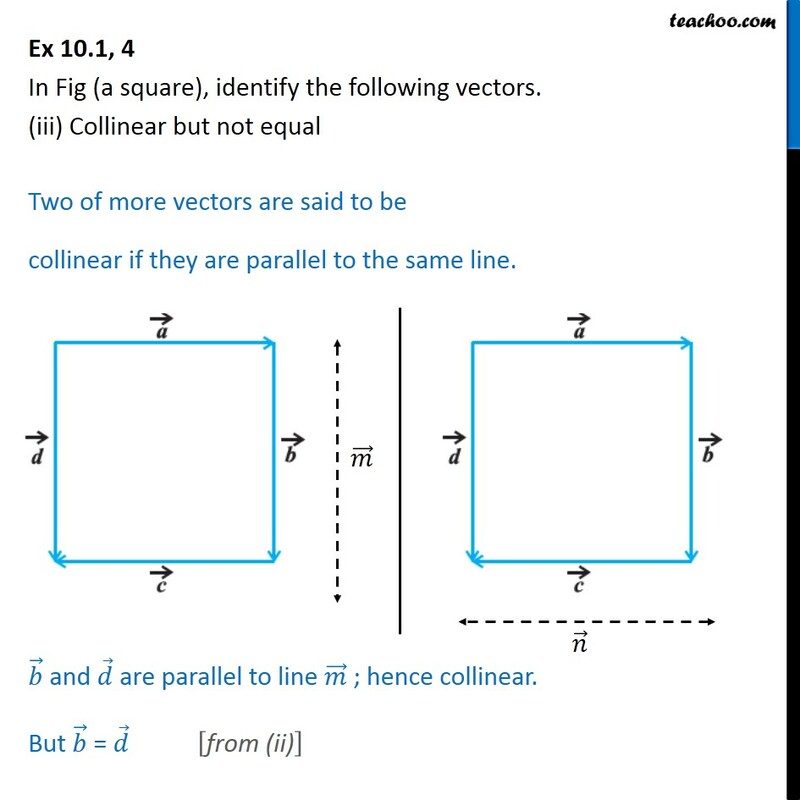 (iii) Collinear but not equal Two of more vectors are said to be collinear if they are parallel to the same line. 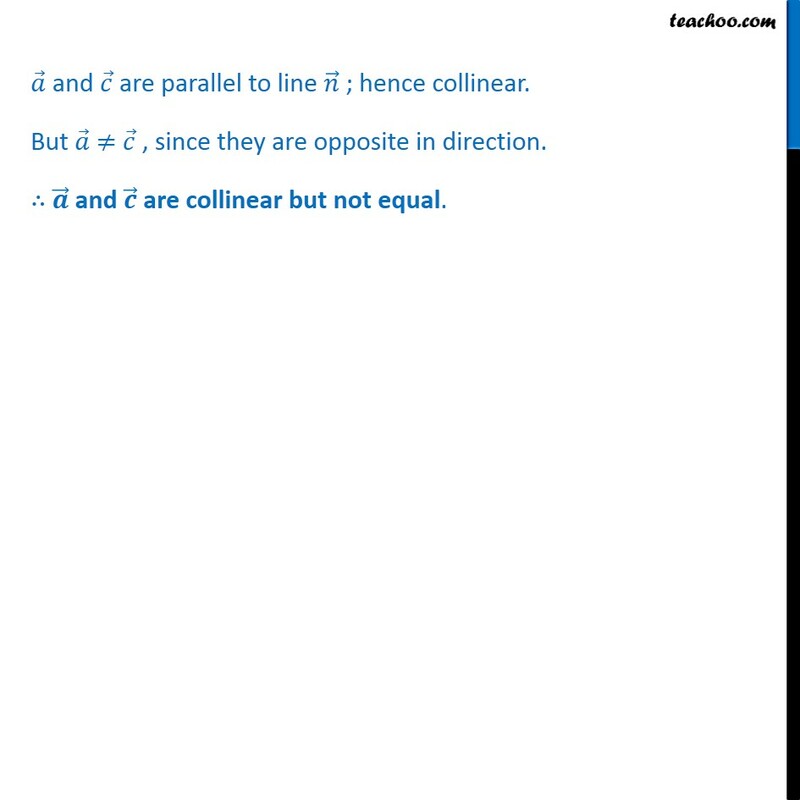 𝑏﷯ and 𝑑﷯ are parallel to line 𝑚﷯ ; hence collinear. But 𝑏﷯ = 𝑑﷯ from (ii)﷯ 𝑎﷯ and 𝑐﷯ are parallel to line 𝑛﷯ ; hence collinear. But 𝑎﷯ ≠ 𝑐﷯ , since they are opposite in direction. ∴ 𝒂﷯ and 𝒄﷯ are collinear but not equal.